IguanaGrip® ADA approved Technology in Anti-Slip Floor solutions, India's First Anti-Slip Treatment Provider. Most of the floors are Slippery when they are wet or soapy & hence extremely dangerous. IguanaGrip® is a 1Hour Floor Treatment given to existing floors which will instantly eliminate danger of slip & fall without changing the look and feel of the floor. It has zero maintenance and the cleaning process remains the same. One treatment lasts for several years. According to the National Safety Council there are 9 million disabling due to slip and fall injuries every year, that's 25,000 each day. This accounts for 95 million lost workdays per year. and over 22 Million injured due to slip and fall at home and over 245 people die every day due to unintentional injuries at home. The expense amounts to about 45 million dollars per hour every day of the year. Human suffering, time lost, escalating Workmen's Compensation and liability insurance. Being the largest service provider in India IguanaGrip® offers you a highly profitable business in India and anywhere across the globe with virtually zero competition. We provide national advertising, training, complete monitoring programs with low franchise and no royalty fees. This gives you a wonderful opportunity to make profits and help people from slip and fall accidents. We also help individuals and marketing companies to establish a service centers to market our products with exclusivity territory and as well as non exclusive territories. Low investment & High guaranteed returns. Limitless earning potential with less overheads. ROI in less than 6 Months. Own a exclusive territory with 3 years. Large market potential with Potentially no-Competitors. Training and management back-up given therefore no previous experience required. No waiting time after signup, Get started instantly. Sales and Marketing support to all Franchise local as well as National. License certificate as authorized exclusive or non-exclusive Franchise. 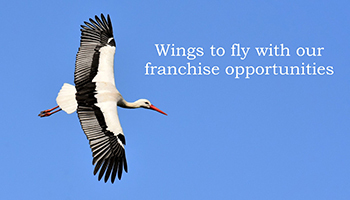 Requirement for being our Franchise If you are an entrepreneur looking for business opportunities or ability to market products in any sector or an established enterprise / group looking to enter or expand can join us. If you already have contacts with construction industry or current distribution channel would be a plus.